I felt behind the times having not read this book. 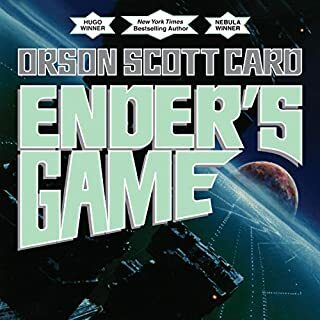 So, I found it on Audible and enjoyed it immensely! I want to get into the next string of books by OSC, and of course anxious to see the movie rendition. If you really enjoy a tight story line, great characters, and a hero in the end, you will enjoy this. 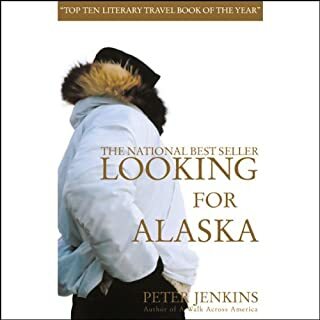 Looking for Alaska is Peter's account of eighteen months spent traveling over twenty thousand miles in tiny bush planes, on snow machines and snowshoes, in fishing boats and kayaks, on the Alaska Marine Highway and the Haul Road. Hearing and living the amazing stories of many Alaskans from Barrow to Craig, Seward to Deering, and everywhere in between, Peter gets to know this place in a way that only he can. I wanna go to Alaska! To get it off my chest, being read by Mr. Jenkins himself was pretty awesome, but he is a dry reader... However, his story of real life adventure is absolutely entrancing, and amazing. Throughout the book I was drawn into the stories, imagining the views, and feeling like I was sitting in the same room with the conversations and meeting the new people. Peter Jenkins brought in the realities of living in Alaska. Even though I, as well as many, dream of going to Alaska fro some stretch of time, reading this book gave me real, enjoyable perspective. Fantastic book, and fantastic writer. I look forward to more from him! For the first time since Blue Highways, Heat-Moon is back on the backroads. 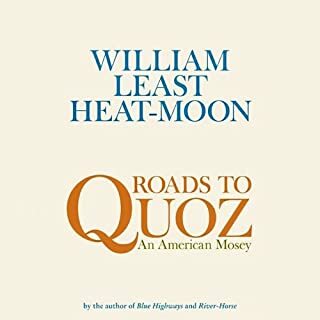 Roads to Quoz is his lyrical, funny, and touching account of a series of American journeys into small-town America. 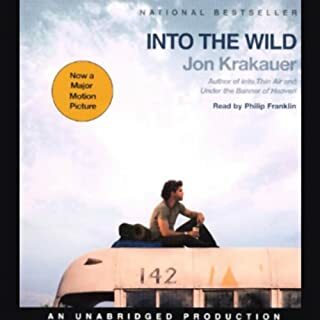 I got through part 1 of 3, but the stories became deeper and deeper and less about the trip and journey they were on and more about historical events surrounding the people they met. The story was very interesting, and I would have enjoyed it more if it hadn't started dragging. I made it through have of the second part and had to quit. On to my next book. This truly is a mosey... if you are into a very slow moving book and good stories, this will work for you. If you are looking for story and adventure, you may want to pass. I had seen the movie a few years ago and found myself strangely attached to Chris, but he took his thoughts and dreams further than most people would dare. During listening to this book, I was able to put images from the movie in my head to help mentally fulfill the story. For me this helped. I enjoyed the story very much as a narration. And even though knew the outcome going into the story, it was fascinating to hear a researched account of Chris' life journey. I am on this adventure and journey kick right know as I am craving a serious road trip. I get to listen to these books on my commute to and from work, and to job sites. I highly recommend this book. I had just finished Zen and the Art of Motorcycle Maintenance, which I think gave me patience for this book. I would have enjoyed it anyway, but reading books in this genre settles the mind, makes you ponder, and gives you perspective if you let it. Would you try another book from William Gibson and/or Jonathan Davis? I know I should expect the unorganized style of writing from William Gibson. He is a challenge to read anyway, but this was just too all over the place. The concepts and direction were too drawn out. The pace of this book, considering it's intensity and complex word structure, was too slow. I would zone out, getting lost on the extended dialogues. Not a William Gibson book. I listened to Neuromancer. That wasn't as bad. I actually like it. It was engaging. It's just too bad the story line and dialogue didn't work. If you could play editor, what scene or scenes would you have cut from Count Zero? I don't know, I stopped listening before the first half. If you are a William Gibson fan, you will like this. But, if you are into futuristic sci-fi, this will even lose you. The characters dramatized were done well. The dramatization helped in getting through this book. It's a great story, but I wouldn't be able to read it. Sometimes. I would get home from work and sit in my car a bit longer to find a reasonable stopping point. My only problem I had, which seemed to significantly effect my rating, is the narrator would change, and it was the voice of Paul, so it was confusing for a while trying to adapt to the new voice and figure out who I was listening to. Dramatization is great, but you have to maintain the same narrator. And, if you are going to do the dramatization, do do some, and not all. Just do it all. Loved it, but hard to stay focused at times. 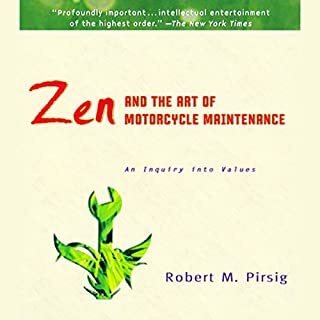 Would you listen to Zen and the Art of Motorcycle Maintenance again? Why? Yes, I would listen again. I may take a listen to the dramatized version to provide a greater audible depth into the story. The story of father and son I was able to follow, and even at times made me sad. The philosophical elements of the book went pretty deep at times, and that would be my purpose for reading (listening) again. I don't know if I necessarily got any real value from this book, but rather it has inspired me into deeper thought and personal study. Maybe that is the intent of the book. 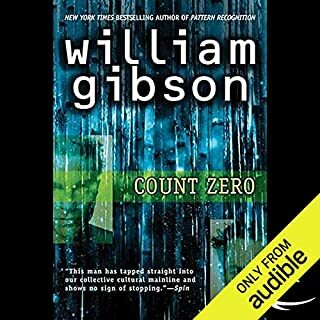 In the last chapter of the audio book, it takes place 10-years after the release of the book and provides deeper insight to their life after the story. I would listen to that chapter again, by itself. What other book might you compare Zen and the Art of Motorcycle Maintenance to and why? I don't know that I could. I haven't read or listened to many books in my life. This one is so unique. I do wish I could find more like it, though. I have always liked the personal journey type stories. I don't believe so. He did well, but it is noticeable and older recording taken from cassette. His voice can be droning at times, but after you get used to it and put that voice the main characters image in your mind, it works. At times I chuckled, and times I felt a little emotional. Didn't actually cry. This was taken from a cassette recording, so you can hear the other side of the tape in reverse, just enough to notice, but not enough to be annoying. This would be worth redoing at some point, unabridged, dramatized a little. It could draw a younger audience to the book. 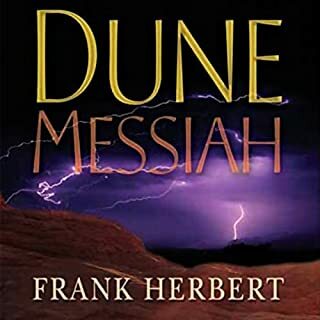 Would you listen to Dune Messiah again? Why? No, I wouldn't listen again. This is a typical sequal. A necessary step in the epic story, but not as exciting. 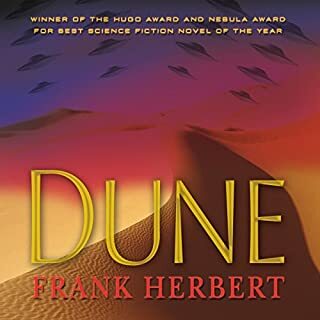 What was one of the most memorable moments of Dune Messiah? Paul going blind and still being able to "see." This was still a great story, love the foundation of this epic world and look forward to continuing the saga.